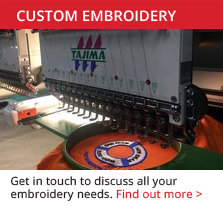 We offer a Professional Embroidery and Screen Printing Service for all your requirements! Pacific Safety Wear is number one when it comes to your embroidery and screen printing needs. We will help create and manage your requirements from start to finish. Your logo or design can be applied to almost all workwear garments such as shirts, pants, jackets etc. Visit our Clothing page. Make a note of any styles you like and then complete the quote form below (noting colour, style and quantity required). Please include a high resolution digital image of your logo (JPEG, GIF, TIFF, PDF or EPS format). We will send you a quote or give you a call if we need to clarify anything. Minimum order quantity of 10 garments applies. Cost per garment varies depending on the size, number of colours in your logo/design and quantity. We will supply a quote upon application. Minimum order quantity of 10 garments is required. 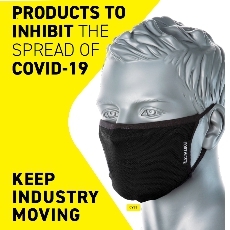 Your order is shipped FREE of charge, Australia wide. Once artwork is approved, lead time is approximately 7 - 10 working days - Not including shipping. Fill in the request form below and we will follow up your enquiry as soon as possible. Otherwise give us a call on 08 9249 2144 to discuss your needs.